Sanding Pad (Set of 25) by Proxxon at In The National Interest. MPN: 28895. Hurry! Limited time offer. Offer valid only while supplies last. 28895 Features: -Sanding pad. -Material: Aluminum oxide. -Surface covered with special filler to prevent clogging. -Backing paper with adhesive. 28895 Features: -Sanding pad. -Material: Aluminum oxide. -Surface covered with special filler to prevent clogging. -Backing paper with adhesive. Product Type: -Coated Abrasives. Generic Dimensions: -Overall dimensions: 1.77" H x 3.93" W x 3.34" D, 0.2 lbs. Dimensions: Overall Product Weight: -0.2 Pounds. 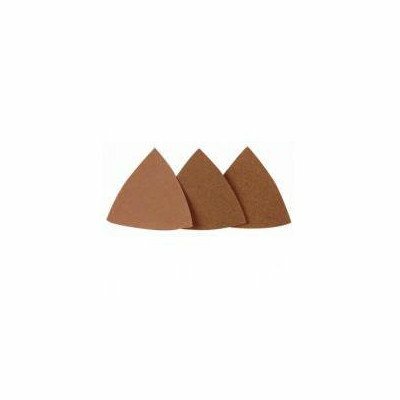 View More In Oscillating Tool Sanding Pads. If you have any questions about this product by Proxxon, contact us by completing and submitting the form below. If you are looking for a specif part number, please include it with your message.